The 13th July 2018 was a special day for our driver, Peter Wallace. 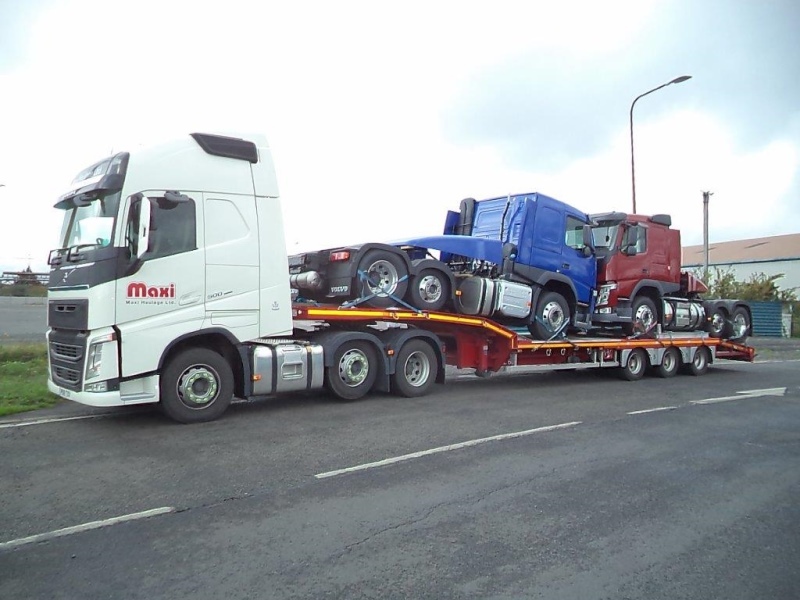 He delivered the last load on his drawbar unit truck and bus transporter. 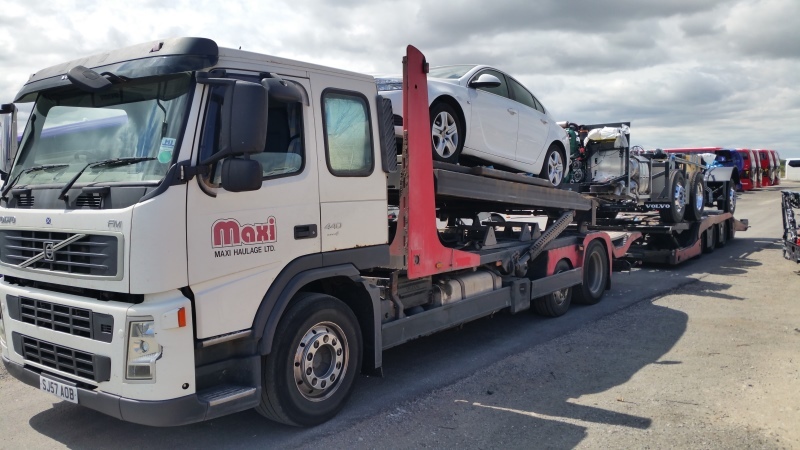 Peter stated “this marked 10 years with the same vehicle, during which time it has done 1.2 million kilometres and I have slept 2640 nights in the sleeper cab”. This Volvo FM 440 still has the original engine and turbo and is not using oil, a credit to both Volvo and Peter. Peter’s Old Rig – 10 years and still going strong! Joining us initially from school in 1979, Peter left us for a while before returning in 1981, and trained as an HGV driver with us at Irvine. 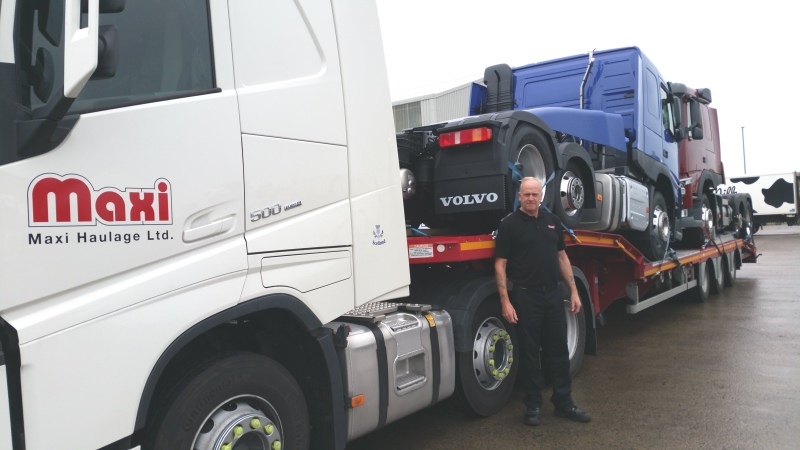 Peter is now looking forward to driving his new luxurious Volvo FH 500 tractor, shown coupled to our latest low loader.